Leightons Alton has always been a community-focused practice, with the team making the most of its location in the heart of the market town to continuously strive to support all the local events they can. The most recent of these was the Medstead Charity Ball, held on 16th June 2018 to raise money for two vital local causes: the Ark Cancer Centre Charity and the Broadlands Riding for the Disabled group, based in Medstead. The Ark Cancer Centre Charity is based in Basingstoke, and is aiming to raise £5 million for a purpose built, state-of-the-art cancer treatment centre that will be built by Hampshire Hospitals NHS Foundation Trust. As well as offering chemotherapy and treatment that has previously only been available in Guildford and Southampton, the unique local centre will provide a calm, comfortable and uplifting environment. There will be a range of complementary and support therapies available for both patients and their families, including wig-fitting and emotional support. Broadlands RDA is one of the oldest RDA groups in the country, having been established in 1955. In that time, they’ve helped countless disabled children and adults discover the joys of riding and all the therapeutic benefits that come with it, opening up new possibilities in education, sport, friendship and life skills. In order to continue their fantastic work, Broadlands are continuously fundraising to help cover their running and maintenance costs of £85,000 per year – which includes putting food in the bellies of their eight hungry ponies! To help support these two very worthy charities, Leightons Alton Branch Manager Angelica and her team kindly donated two pairs of sunglasses, worth several hundred pounds, to the charity raffle that was being held at the Medstead Charity Ball. Thanks to their kind contribution, they had their biggest year yet - raising over £7,000 for their charities. 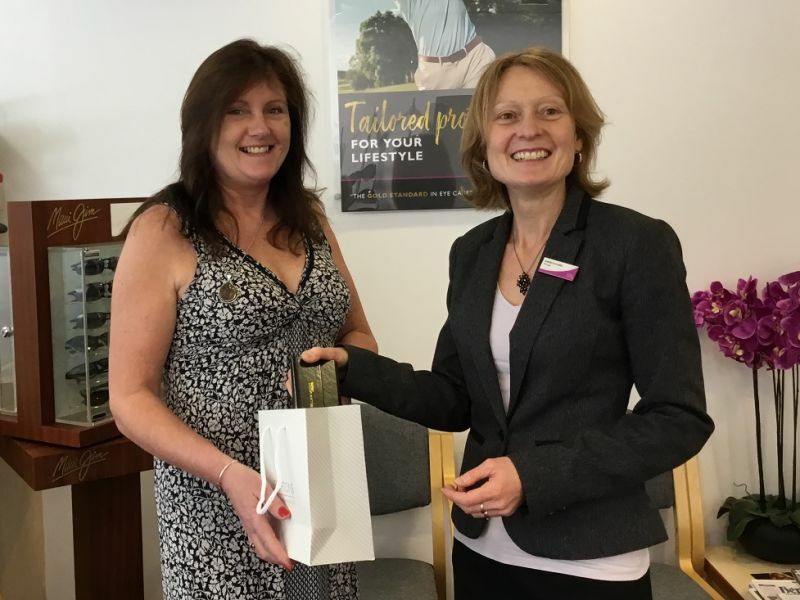 Medstead Charity Ball committee member Helen called in prior to the event to collect the prizes and was extremely grateful for the contribution. Angelica and her team were delighted at the opportunity to support the event, and hope that the lucky winners enjoy their new sunglasses!